I love the magical way words manage to ingrain themselves inside us. Creating places, smells, feelings, thoughts…we live and then hold them. What once belonged to us, our own recollections, become jumbled and blurred amongst the, often, far more real and poignant moments lived out between the pages of a book. It’s easy to forget when a train journey from Taunton to Lancaster takes you to a hillside; the sun is setting, the sky is washed in pink, (The Return of the Native, Thomas Hardy) who are you now? Words stand up off of a page, solid as we believe in them. It is this reality that I love, the truth we pay for by believing in a few lines. And that’s why this blog will be more concerned with what is created and enjoyed rather than theoretical value for money. You can study a book to death, tear it apart, theorise and ponder, but unless you believe in it, unless you lived and loved it, then nothing inside can ever make real sense. You have to go there and be part of the play; good reading calls for total abandonment (or as close to abandonment as is safe when your train is full of scary people). 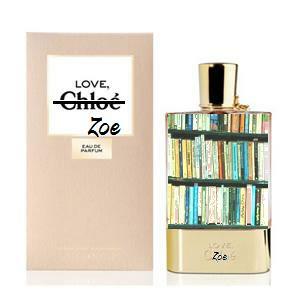 I love your book philosophy, Zoe. A good book to me is not necessarily one that made the bestsellers list. It’s one that pulled me into its world and lingers after the last page. Thank you for subscribing to my blog last week. Keep reading. I love your book reviews Zoe. I’m going to look to you always for book recommendations! The tides have turned – from me giving you books to you giving them to me!! !